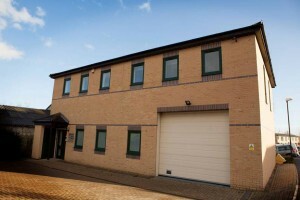 Avongard is a UK company who have been trading since the 1970s. Avongard was formed in 1976. The joint founder of the company and now the Technical Director is a Chartered Structural and Civil Engineer and Chartered Surveyor. He recognised there was a need for a simple but reliable calibrated gauge for the monitoring of cracks. Prior to that time only crude qualitative methods or high precision high-resolution instruments were available. 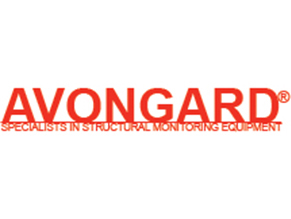 The Tell-Tales (the generic name for crack gauges) supplied by Avongard Ltd are the original and genuine product. It is vital the products used for monitoring cracks are quality precision products. Great reliance is placed on the result of the monitoring and the user may be liable if inappropriate remedial work is recommended based on the results of imitation products of inconsistent quality. All the Tell-Tale products including the Crack Width Gauge are manufactured to conform to BS EN ISO 9002:2008 third-party accreditation. The Tell-Tales and Crack Width Gauge are all manufactured from tough vandal resistant polycarbonate renowned for its durability. Every product is supplied complete with a crack monitoring sheet and fixing instructions. The usual method of printing numerals and calibrations is to do so using the silkscreen method. However, this method can result in the reduced definition. Over time, dimensional inconsistencies can arise too. Avongard products are printed using the silicone pad and etched metal plate method of printing. This results in fine detail definition and good repeatability as well as durability in use. Therefore the products are easy to read, especially in low light conditions and the user can rely on consistent readings when more than one product is being used. The calliper crack monitoring kit is supplied in a full kit complete with accessories. Included in the kit is a manual with advice on obtaining the best results using the calliper system. Only very high-quality callipers are supplied. Monitoring to a resolution in the order of 0.1mm demands the highest quality instruments with good repeatability. The callipers accord with EN61326:1997+A1:1998+A2:2001.